Created by EMMY and multi BAFTA award-winning writer Jimmy McGovern, the Moving On series includes five stand-alone dramas featuring a plethora of famous faces including screen legend Hayley Mills, with Lisa Riley, Kenneth Cranham, Peter Egan, Neil Fitzmaurice, Wil Johnson, Charles Venn, Anna Crilly, Katy Carmichael, Dominic Carter, Chris McCausland and Graeme Hawley. Produced by LA Productions for the BBC, the series explores contemporary issues, all linked by the common theme of characters who reach a turning point in life and then move on. With 5x45 minute standalone dramas broadcast over a week, Moving On is reminiscent of the Play for Today. In 2013, it was the first series ever to have been premiered on the BBC iPlayer. Previous episodes have been directed by Robert Glenister, Dominic West and Johnny Vegas and have starred Corin Redgrave, Sheila Hancock, Anna Massey, Ian Hart, and Lesley Sharp. The show aired in November 2014. LA Productions website, Moving On on the BBC. LA Productions childrens drama Stepping Up has received two nominations in the Drama and Writer categories at this years BAFTA Children's Awards, which honour the very best in children's media. The ceremony will be held on Sunday 24 November at the London Hilton, Park Lane. Stepping Up focuses on children who are experiencing the transition from primary to secondary school. The five stand-alone dramas, which were penned by different writers, are themed around the new challenges children face when moving into this new and sometimes overwhelming environment. The programme has also just won a prestigious RTS Television Award. LA Productions website, BAFTA website. 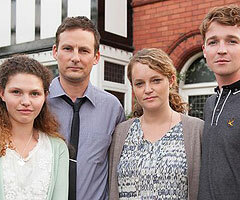 2013 has been hugely successful at Michelle Smith Casting with productions such as Common and Moving On - Series 5 (pictured), both by Jimmy McGovern. The new series of Moving On has a terrific cast including Coronation Street and Strictly Come Dancing star Natalie Gumede together with Lee Ingleby, Ray Fearon, Jo Joyner, Anita Dobson, Amy Nuttall, Duncan Preston and Keith Barron. Directors for the fifth series include Johnny Vegas, Robert Glenister, Noreen Kershaw and Gary Williams. So along with our ninth series of Waterloo Road, new Internet series World of Street Dad, the second series of Dani's Castle and Off Their Rockers, and feature film Electricity starring Agyness Deyn, it's been a really exciting year for us so far! Waterloo Road, now in it's ninth series, returns to BBC1 on Thursday 5th September. Series eight concluded in dramatic fashion when regular character Tom Clarkson (Jason Done) was killed when he was pushed from the school roof by Kyle Stack (George Sampson). In the new series the school is still in mourning for Tom, especially Kacey Barry (Brogan Ellis), who is struggling to cope without the teacher. New characters will include teenage twins Lenny and Lisa Brown, played by Joe Slater and Caitlin Gillespie, and recently-qualified science teacher Sue Spark, played by Vanessa Hehir. Lenny and Lisa will feature in episode one of the new series with Audrey McFall, played by Georgie Glen, as she suspects they are being neglected at home. Mark Benton, whose popular character Daniel 'Chalky' Chalk left Waterloo Road for a new job in London, will also return to the show for an undisclosed number of episodes. Other storylines in the new series will explore how new Headmistress Christine Mulgrew, played by Laurie Brett, is settling into her role, while Deputy Head Simon Lowsley, played by Richard Mylan, hides a secret which could affect his career and unsettle the staff. 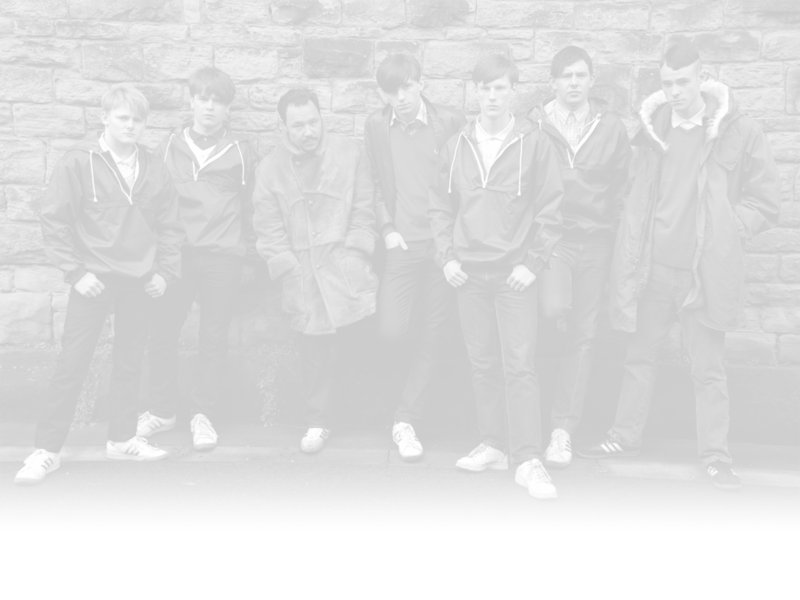 Shed Productions website, Official Waterloo Road website, Waterloo Road on the BBC.